I was online when day when I came across a book about the 5th Noyon Hutagt, Danzan Ravjaa (1803 – 1856). 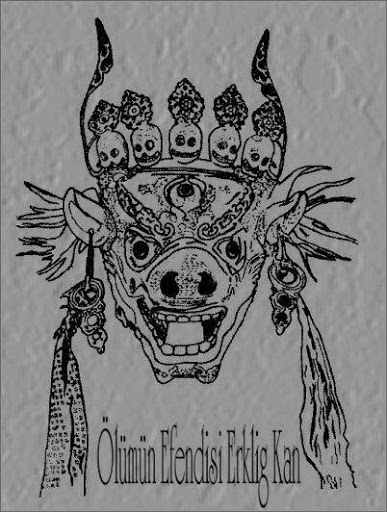 Titled Lama of the Gobi: How Mongolia’s Mystic Monk Spread Tibetan Buddhism in the World’s Harshest Desert, it is authored by Michael Kohn and when I read it, I found Danzan Ravjaa’s personality to be very unconventional. Although he was known for his love of alcohol and women, he was a prolific writer who composed more than 400 poems and songs. Danzan Ravjaa was not only famous for his literary talent but also for his medical skills, prophecies, and his knowledge of philosophy and astrology. During his lifetime, Danzan Ravjaa used his charisma and influence to advance public education and women’s rights. 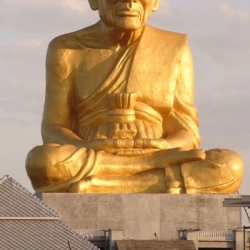 The monasteries he established became prominent in spreading Buddhism during his lifetime. 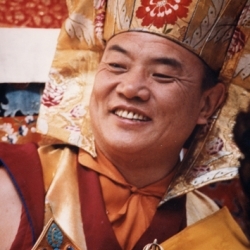 He was also known for promoting both the Yellow Hat (Gelug) and Red Hat (Nyingma) traditions of Tibetan Buddhism. Please do read about this controversial personality. Perhaps we may not agree with all of his methods and actions but if you look at his legacy and life story, it takes a strong and special character to travel to a foreign land, learn up and study, and bring this knowledge back to remote places to establish Buddhism. I like to share about people like this who used their life for a purpose. In this case, it was to pursue their passion which is spirituality, then make sure that others would benefit from it too. The Noyon Hutagt is regarded as the emanation of Hayagriva, also known as Tamdrin Yansang Yidam in Mongolia. According to Michael Khon, Tamdrin Yansang Yidam is a deity famous for “wizardry, power, genius and healing”. 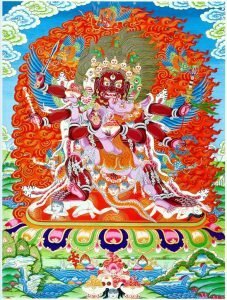 Hayagriva is believed to be the wrathful manifestation of Chenrezig, the Buddha of Compassion, who helps practitioners to overcome their internal and external obstacles. 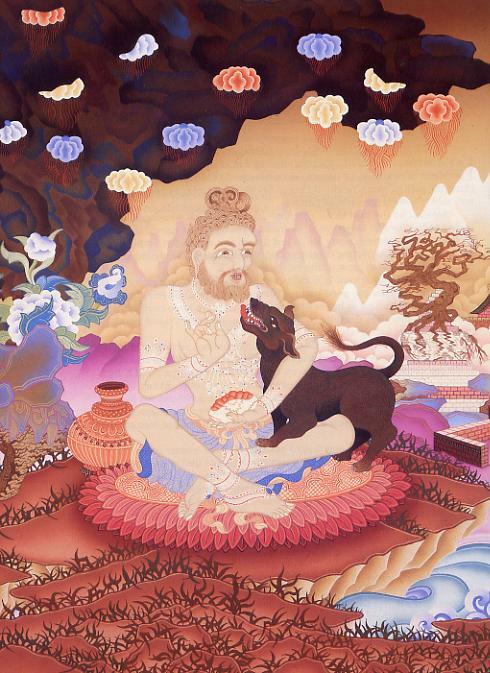 Due to his nature as Chenrezig, he helps practitioners develop altruistic compassion. The third candidate, Agvangonchig was acknowledged as the 1st Noyon Hutagt. 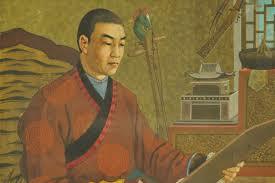 Agvangonchig was born into a Mongolian aristocratic family. He was ordained and educated in Lhasa, Tibet for 30 years. 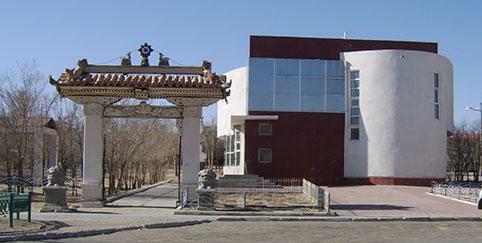 When Agvangonchig returned to Mongolia, he built the Amgalan Temple. Later many new temples were built around Amgalan Temple, forming the Tsorai Monastery complex. 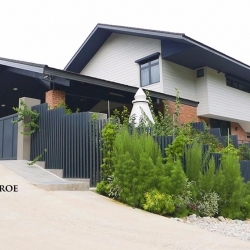 Unlike the 1st Noyon Hutagt who was born to an aristocratic family, the 2nd Noyon Hutagt, Jamyn Dambi Jantsen was the son of an ordinary livestock breeder. He is known for having built Choilong Monastery. Unfortunately the monastery was accidentally burnt down not long after it was built. There were two more attempts to rebuild the monastery. Each time however, the ground was levelled by sandstorms. The monastery was abandoned by the end of 18th Century. The 2nd Noyon Hutagt passed away at the very young age of 35 years old. The 3rd Noyon Hutagt, Jamyn Danzan was the son of a Mongolian nobleman, Tseden Mergen Zasag. There are two contradictory accounts of the 3rd Noyon Hutagt. The first account about Jamyn Danzan’s life is from a Russian writer, Pozdneyev who depicted the 3rd Noyon Hutagt as a hunter and thief who was executed by the Manchu Emperor because he stole Chinese government silver. 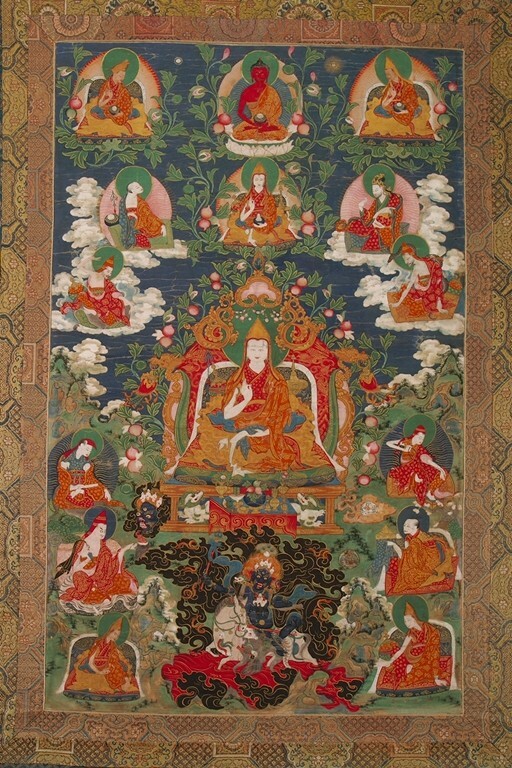 The second account is the Mongolian version, which depicts the 3rd Noyon Hutagt as a good and praiseworthy monk. According to the legend, his father, Tseden Mergen Zasag failed to repay his loan to a trader. After the trader passed away, he complained to Erlig, the king of the underworld. Therefore, after Tseden Mergen passed away, he was brought before Erlig to explain his conduct and an argument between the trader and him ensued. The 3rd Noyon Hutagt was called to the underworld to clarify the situation and was allowed to return to the land of the living afterwards. Unfortunately, when he was away his colleagues thought that he had died and mummified his body, and he was unable to return to his body. 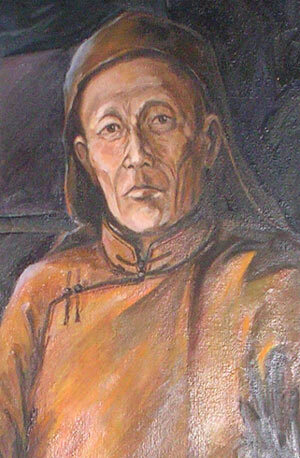 The 4th Noyon Hutagt, Jamyn Oidov was known for promoting Buddhism in Mongolia. He was also known for his beautiful singing voice and medical skills. Jamyn Oidov established Zuun Khashant Monastery. He passed away prematurely at the early age of 35 years old. According to Altangerel, the curator of Danzan Ravjaa Museum, after performing a miracle to subdue an army of mice in Erdene Zuu Monastery, Jamyn Oidov was invited to a banquet in his honour during which alcohol and delicious food were served. After the feast, he was involved in a brawl with a Chinese aristocrat and accidentally killed him. Jamyn Oidov was then arrested and the Manchu government ruled that he should be put to death. Prior to his execution, Jamyn Oidov instructed his attendant, Jigmid Gonchig to buy a horse. He told his attendant that they would be connected in his next life through this horse. Jamyn Oidov later named the horse Boriv Kheer (‘Chestnut’) and nicknamed his attendant Jintu (‘Pillow’) for the kindness and comfort he had offered him. After Jamyn Oidov died, the Manchu government banned the Noyon Hutagt incarnation line. Danzan Ravjaa was born to poor parents, Dulduit and Majikhan. His father, Dulduit was a wandering singer and beggar. After his mother passed away when he was two years old, Danzan Ravjaa followed his father and endured much hardship. One day, when they heard that a juntung had come to town, Danzan Ravjaa asked to meet him. When the guards rejected his request, he created a commotion and yelled, “No event is complete in just one lifetime! I would like to speak with the juntung about my previous life!” Hearing the commotion, the official came out and Danzan Ravjaa asked for the fire starter and the silver knife that he gave the juntung in his previous life. “You have my knife and fire starter,” he said. The official was shocked and returned the knife and the fire starter. True to his promise, he kept the real identity of Danzan Ravjaa a secret in order to protect him. In 1809, Danzan Ravjaa met with his previous life’s attendant, Jintu Gonchig. Prior to this fateful meeting, Jintu Gonchig had been searching for the 4th Noyon Hutagt’s incarnation. When he met Danzan Ravjaa, he began to question him. 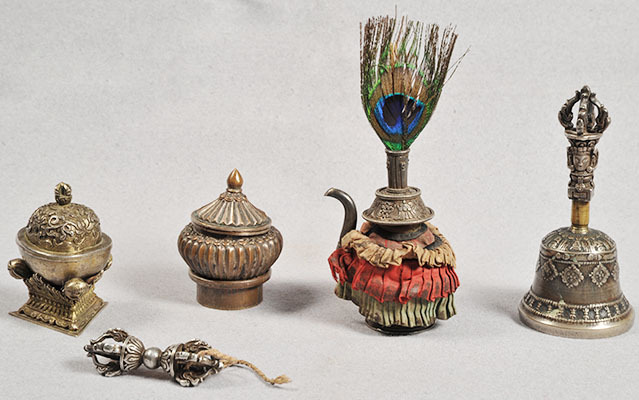 During the process, Danzan Ravjaa was able to correctly identify some of the objects Jintu Gonchig showed him as his own, including the horse, Chestnut. 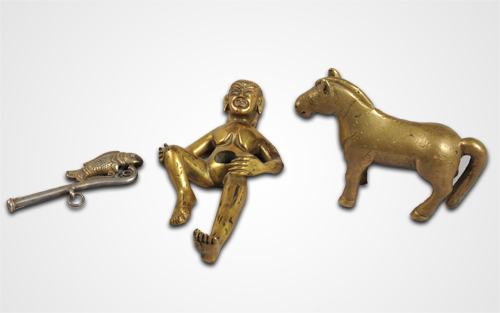 Therefore, Danzan Ravjaa fulfilled his previous life’s prediction that Jintu Gonchig would be connected to him through the horse. 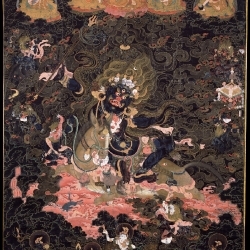 Jintu Gonchig took Danzan Ravjaa to Ongiin Gol Monastery to be enthroned. Danzan Ravjaa’s enthronement was a huge affair. 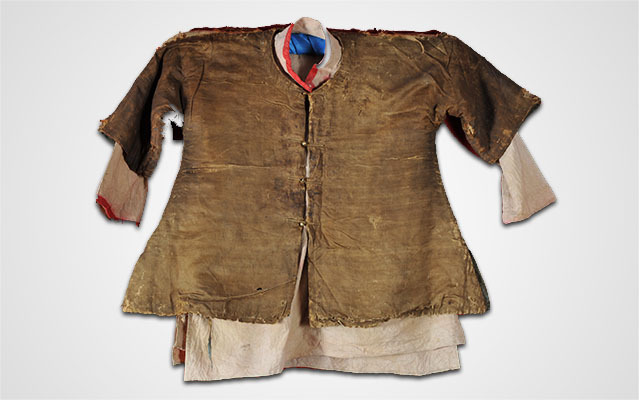 It was reported that the boy received 1,540 horses, 800 cows and more than 1,000 sheep in addition to gold, silver, animal pelts, silk, ger (a round portable tent used by nomads in Central Asia) and clothing for every season. Initially, Danzan Ravjaa was not enthroned as the Noyon Hutagt because the title had been banned by the Manchu government. He was instead enthroned as the Avshaa Gegeen, the title of a recently deceased lama. However, his father Dulduit, did not benefit from his new fortune. The new lama’s attendants sent him away with only a small pension. It was not long before Dulduit had to return to his previous profession as a beggar. He died a pauper nine years later. 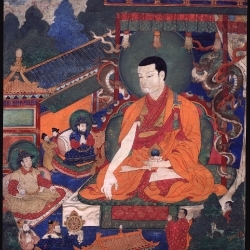 After his enthronement, Danzan Ravjaa was sent away to various monasteries in Inner and Outer Mongolia to study Buddhism. One of these journeys brought him to Beijing where he met the 7th Panchen Lama Palden Tenpai Nyima. 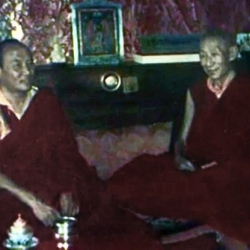 The Panchen Lama was impressed and convinced that Danzan Ravjaa was a high incarnation. 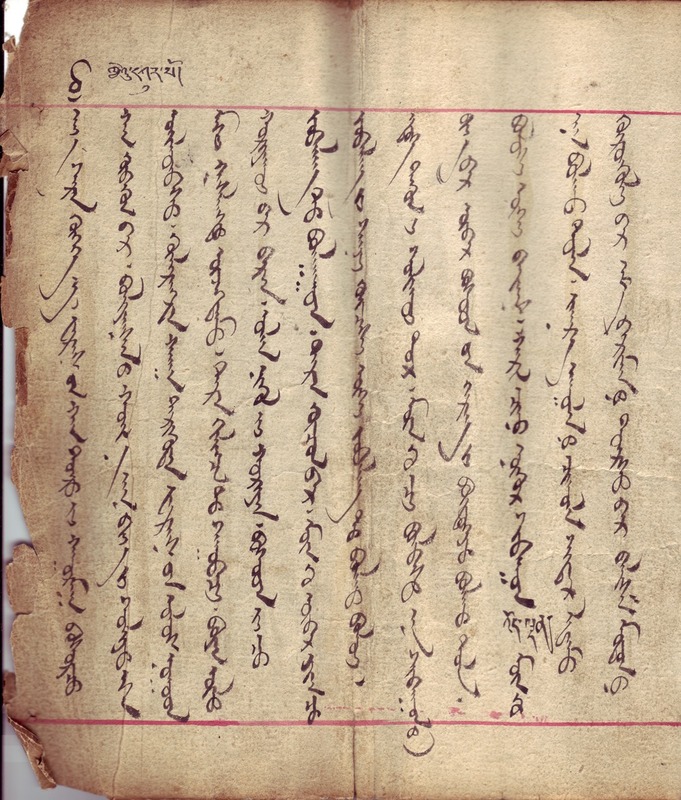 Thus when the news reached the Manchu court that the incarnation of the 4th Noyon Hutagt had been found, the Chinese authorities issued an arrest warrant for Danzan Ravjaa. The Dalai Lama and the Panchen Lama however, appealed to the Chinese authorities. Since that time, Danzan Ravjaa became known as the 5th Noyon Hutagt. 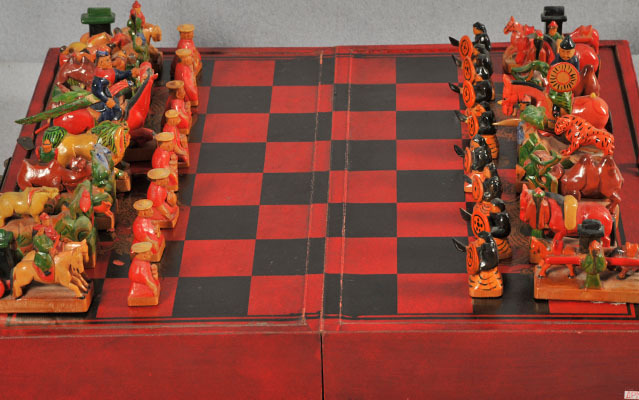 In addition to studying Buddhism, Danzan Ravjaa learned art, music, chess, rhetoric and debate. He was also taught the Tibetan, Mandarin, Mongolian and Manchu languages, and possibly Russian and English from explorers, traders and travellers. It was not long before Danzan Ravjaa’s literary talent and his rebellious character became apparent. When he was 14 years old, Danzan Ravjaa received his novice monk vows after which he started receiving visitors for consultations and blessings. He also performed prayers and even divinations. When he was 19 years old, Danzan Ravjaa completed his basic Buddhist training and built his first temple, Labrang Sum. He went on to build several more temples that year. Is out of kilter with local customs. Danzan Ravjaa’s eccentricity did not stop there. 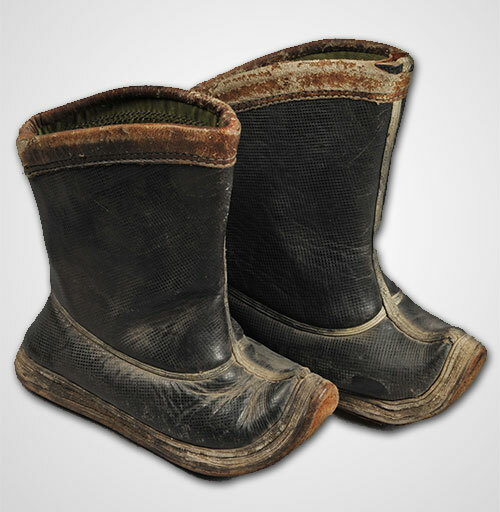 Although he lived in Mongolia where social customs and family ties were emphasised and observed, he owned a ger with no door. Once he entered the ger from under the wall, he was not to be disturbed. Regardless of his unconventional behaviour however, he was still able to command respect from his peers, students and society in general. Later, Dunkhor was recognised as an incarnation and known for his singing ability. He lived until he was more than 80 years old. Danzan Ravjaa valued women as men’s equal. He encouraged respect toward women and was passionate about women’s education. During his lifetime, Danzan Ravjaa built many temples and monasteries. After the construction of several temples in his late teenage years, he began to build monasteries. 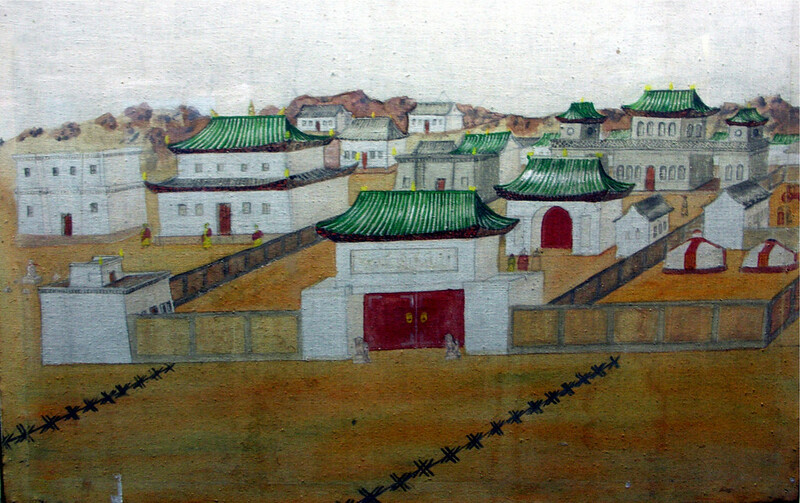 Between 1825 – 1836, Danzan Ravjaa built three monasteries in Outer Mongolia: Demchog, Ulaan Sakhosnii Khiid and Sayan Tolai Khiid. These three monasteries became important Buddhist learning institutions. Unfortunately, the Communists destroyed the monasteries in the 1930s. 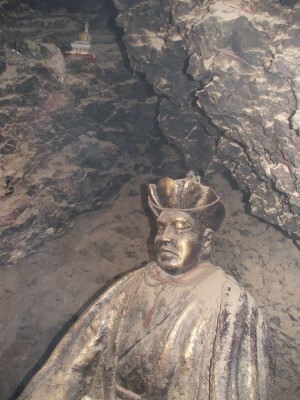 In 1831, Danzan Ravjaa led the renovation of Agui Sum (Cave Temple) in Alasha. 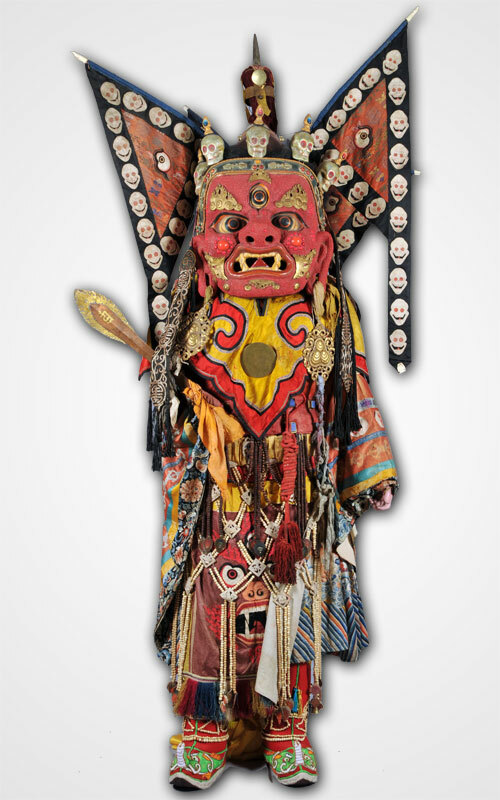 According to local folklore, one of the demons subdued by Padmasambhava is locked away inside the cave of Agui Sum. Among the many monasteries he built, Danzan Ravjaa’s primary monastery was Khamaryn Khiid. It was meant to replace Khashant Khiid, the monastery that was closed after the 4th Noyon Hutagt’s death. Khamaryn Khiid consisted of four sections: Zuun Huree, Baruun Huree, Tsokhon and Duinkhor. Danzan Ravjaa stayed primarily in Zuun Huree which also housed a library and a school for young teachers. The Duinkhor quarter housed the temples and theatre where Danzan Ravjaa’s opera and tsam dances (religious dances) were performed. 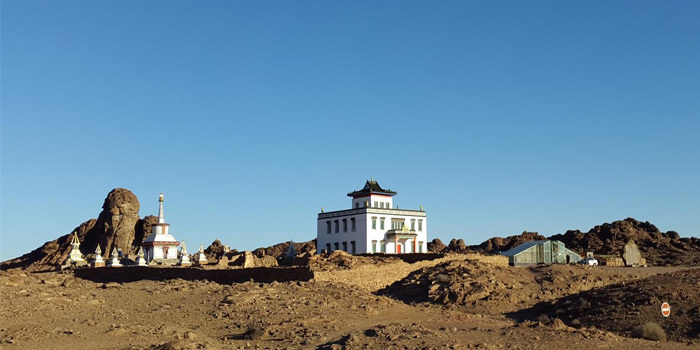 Danzan Ravjaa chose the site because he believed in the special quality of the area which is believed to be the energy centre of the Gobi Desert. Danzan Ravjaa and his disciples found a water source on the site which he declared to be holy. He proclaimed that the water “properties could cure ailments of teeth, eyes, blood, joints and liver”. Nicholas Roerich described this place as the northern gateway to Shambhala. At one point, the monastery contained 13 temples, 22 chapels, 11 smaller buildings and two stupas. Khamaryn Khiid was closed in 1931 by the Communists and destroyed in 1937. The monastery was recently rebuilt by the Mongolian government as part of their restoration efforts. Situated near Khamaryn Khiid are the Yalkhoi Caves, known as the ‘108 Caves for 108 Students’. Danzan Ravjaa used to visit these caves when he was entering retreat. The monks of Khamaryn Khiid also performed a 108-day strict retreat in these caves. Danzan Ravjaa was a talented writer, poet, dancer and choreographer. His troupe was known for their dynamic performances. They staged plays, songs, operas, dances, etc. Even Danzan Ravjaa himself was known to have performed the tsam dance created by the 3rd Panchen Lama about the Shambhala war. Danzan Ravjaa modified some elements of tsam dance to emphasise the importance of women’s roles. Having developed appreciation for the actors’ facial expressions, he introduced tsam dance in which the actors did not wear masks. Most of his plays contain moral messages and Buddhist teachings. However, he was also critical of Manchu authority, hypocritical personalities and corrupt officials. Danzan Ravjaa’s most notable play was Saran Khokhoo Namtar (The Life Story of the Moon Cuckoo) based on a book by Madi, a Tibetan writer. Saran Khokhoo Namtar required more than 200 musicians, actors and assistants from various backgrounds. Saran Khokhoo Namtar is a drama about social conflicts, the contradiction between good and bad, wisdom and dullness, and humanity. 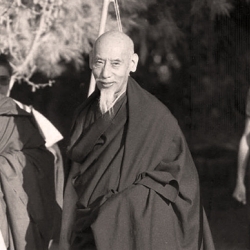 Despite his eccentricity, Danzan Ravjaa was an influential and respected Buddhist teacher. He travelled extensively to give teachings and was known to perform miracles. One particular example of his influence relates to a statue of Guru Rinpoche that was made from 10,000 knives. In 1825, a Chinese man was stabbed following an argument near Khamaryn Khiid. This terrible incident lead to civil unrest. Danzan Ravjaa used the opportunity to encourage those who kept knives as weapons to surrender them to him. So great was his influence, roughly 10,000 knives were surrendered to him. These knives were then melted down and made into a statue of Guru Rinpoche. Today, the statue is known as ‘The Ten Thousand Knives’ statue. During the tenure of Tudev as takhilch (the caretaker of Danzan Ravjaa’s properties), the statue was stolen but the base was left behind by the thieves. Seeing this, Tudev predicted that when the statue returned to the base, Buddhism would be restored in Mongolia. During the tenure of Tudev’s grandson, Altangerel, as takhilch the statue was found and returned to Khamaryn Khiid. Confused, frightened and bewildered, the man mounted his horse and rode home. Upon arrival he found his child completely revived, healthy-looking and in good spirits. There was also a gaping hole on the ger wall. 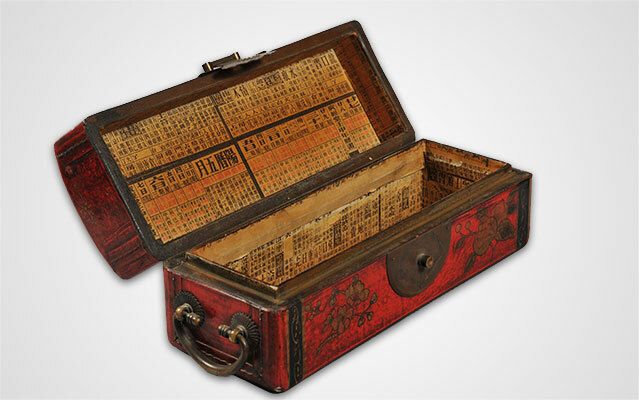 In 1850, in an attempt to separate the popular monk from his followers, the Chinese Emperor instructed Danzan Ravjaa to serve as a doctor in the Chinese army. He also told him to carry the yellow Manchu banner. 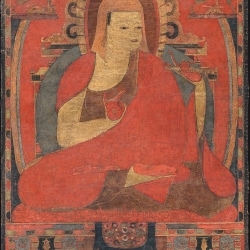 Although he initially obliged, Danzan Ravjaa later covered the yellow banner with red cloth decorated with the Soyombo, the symbol of the 1st Bogd Gegeen Zanabazar (1635 – 1723), the spiritual leader of Khalkha Mongols. There was however, one occasion when Danzan Ravjaa helped the Chinese army during the first Opium War of 1839 – 1842. According to the legend, he created a thunderstorm that damaged the British ships. Eventually, he said that the negative karma of the Chinese was too great and he could not help them to win the war. Danzan Ravjaa predicted his own end three years before his passing. One day in 1853, he gathered his disciples in a hill area near Khamaryn Khiid and announced that he would leave them in three years’ time. He suggested his disciples build an ovoo, a traditional stone-heap shrine, in that place to communicate with him. It is widely believed that Danzan Ravjaa died of poisoning. There are many versions of story related to Danzan Ravjaa’s murder, but the most popular story involves Shuluum Avai, the second wife of Gobi Merger Van and a practitioner of black magic. She had previously flirted with Danzan Ravjaa but he rejected her advances. Having been spurned by Danzan Ravjaa, Shuluum Avai decided that he must die. But having sickness in your abdomen. For you get upset when I say the truth. After he passed away, Danzan Ravjaa’s body was sent to Khamaryn Khiid. 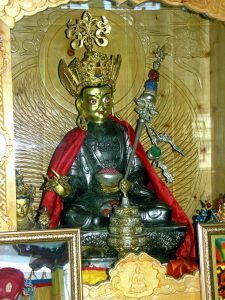 Balchinchoijoo, a man of noble blood and a high ranking lama, took the responsibility of taking care of his body and properties. 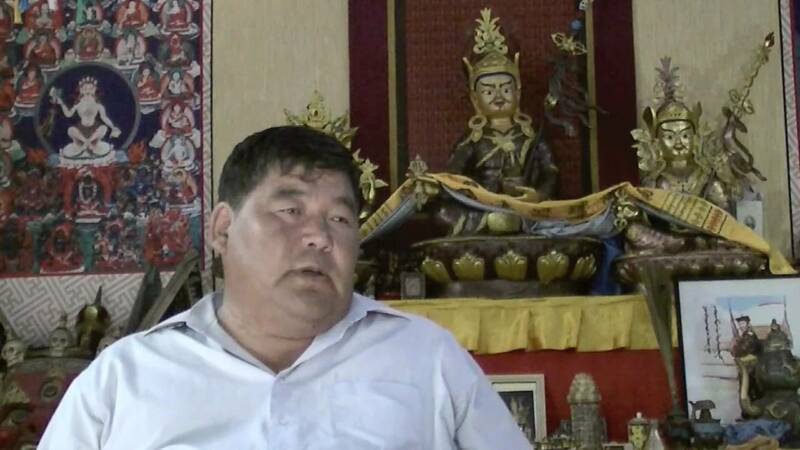 He swore an oath stating that “Since Master Bogdo Chinggis Khaan became Heaven and bid farewell, … I, Balchinchoijoo, became the protector of his temple.” His oath still hangs in Danzan Ravjaa Museum in Sainshand today. 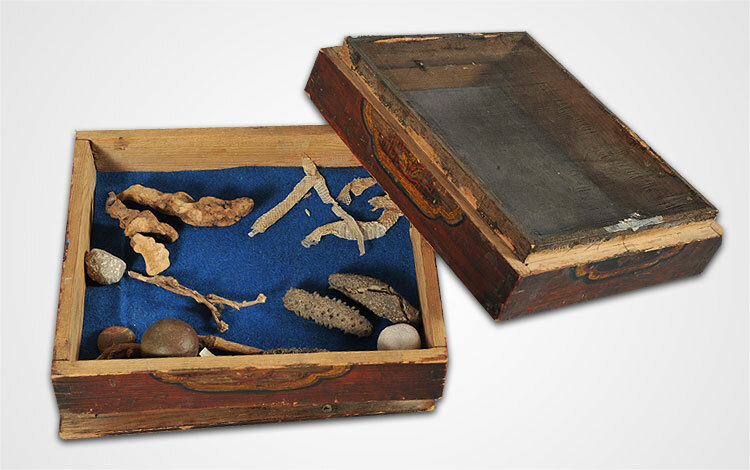 Balchinchoijoo oversaw the mummification of Danzan Ravjaa’s body and the entombing process. He also took care of Danzan Ravjaa’s properties in order to protect them because during Manchu rule, it was illegal to loot property from the tomb. Balchinchoijoo saw himself as the “takhilch (protector, curator, or trustee) for Ravjaa”. Because Balchinchoijoo had a unique birthmark on his back, the role of takhilch was henceforth passed to Balchinchoihoo’s descendants who had similar birthmarks. In 1931, just before the monks were arrested by the Communists, a decision was made to cremate Danzan Ravjaa’s mummified body. The ashes are now displayed in the Danzan Ravjaa Museum. 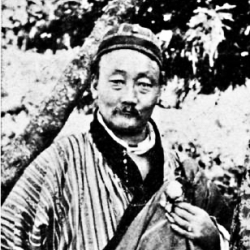 Upon the death of Danzan Ravjaa, the Manchu government declared that the subsequent reincarnation of Noyon Hutagt should be found in Tibet. The 6th Noyon Hutagt was Luvson Dambi Jantsen Odser. 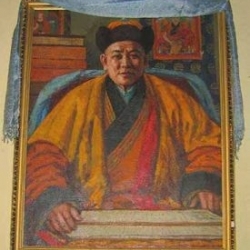 He was born in Tibet and educated within the Gelug tradition. However, this boy was born one year before the passing of Danzan Ravjaa, and therefore many people doubted his status as the real incarnation. When he was 14 years old, Luvson Dambi Jantsen was sent to Khamaryn Khiid. It seems that he was not treated well there. 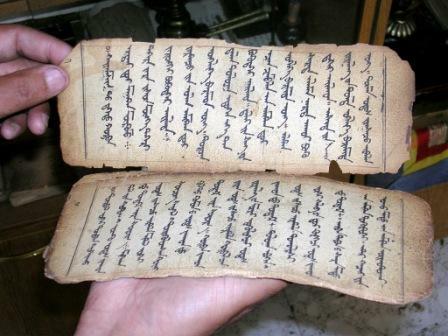 The 6th Noyon Hutagt condemned Danzan Ravjaa and ordered the destruction of his work, which caused Danzan Ravjaa’s friends and disciples to become unhappy. Within six years of arriving at Khamaryn Khiid, he was poisoned. After the tragic death of the 6th Noyon Hutagt, negotiations were carried out to allow the next incarnation to be born in Mongolia. The 7th Noyon Hutagt, Agvan Luvson Dambi Jantzen Jampts, was born in 1891. Just like Danzan Ravjaa, he was very popular and well-travelled. In addition, he revived his predecessor’s popular play, Saran Khokhoo Namtar. One legend states that in 1910, the 7th Noyon Hutagt met a brother and sister who were the children of someone named Ja Getsul. The two siblings were crazy and very much afraid of the 7th Noyon Hutagt. It was believed that the siblings were the reincarnation of Danzan Ravjaa’s murderers, Luvson and Shuluum Avai. They were born mentally challenged due to the heavy karma of murdering Danzan Ravjaa. When Mongolia embraced Communism in the 1930s, the 7th Noyon Hutagt, his takhilch at the time and Balchinchoijoo’s grandson, Ongoi were arrested. 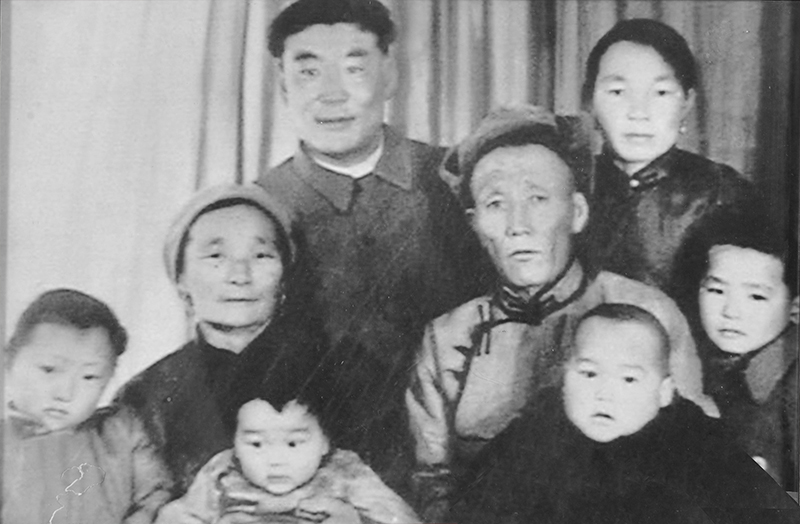 According to Michael Kohn, the author of Lama of the Gobi, “It’s likely that the 7th Hutagt was shot dead and buried in a mass grave on the outskirts of Ulaanbaatar, as was the fate of many monks at the time.” Not long after, the Communists issued a new law that prohibited the recognition of Hutagt. After the death of the 7th Noyon Hutagt, his assistant, Gendensaivan secretly searched for his incarnation. He recognised a boy named Samdan Jampts. One of the reasons for this was because when Samdan Jampts was a baby, the boy refused to drink milk and only stopped crying when his mother offered him a taste of vodka. Samdan Jampts was never formally recognised and enthroned. When he was 12 years old, he became a casualty of war. The 9th Noyon Hutagt, Danzanluvsantudev, was born in 1984. He was recognised by the 14th Dalai Lama on 2 March 2013. His main seat is in Khamaryn Khiid. Around 1937 just before Khamaryn Khiid was destroyed, Ongoi’s son, Tudev had foreseen that Danzan Ravjaa’s tomb would be ransacked by the Communists. He discreetly managed to move 64 crates of treasure and buried them in the dessert before the tomb was looted. Tudev had one daughter and one adopted son, none of whom had the auspicious birthmark of a takhilch caretaker. The daughter later married and had 10 children. One of her children, Altangerel, had the birthmark. Tudev took Altangerel and trained him to be a takhilch. Later, Altangerel revealed the location of the boxes to the Austrian-Mongolian Treasure Hunt expedition, and was able to establish Danzan Ravjaa Museum in Sainshand, Mongolia. 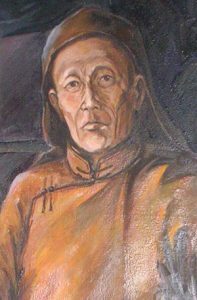 Danzan ravjaa a Mongolian was a prominent Mongolian writer, composer, painter, Buddhist scholar and was also a physician. 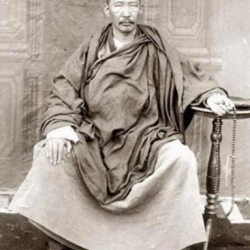 He was the Fifth Noyon Khutagt, the Lama of the Gobi. Interesting to read the incarnation lineage of The Noyon Hutagt and his biography. Even though Danzan Ravjaa’s behaviour was unconventional , he was somehow well known and respected by many for his work . He was well known for his prophecies, and treatises on medicine, philosophy, astrology and poetry. 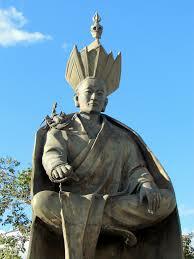 He founded a number of monasteries throughout the Gobi region of Mongolia . Thank you Rinpoche for this interesting sharing . 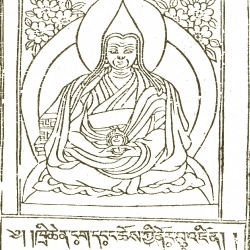 Guru Deva Rinpoche aka Sokpu Rinpoche drank a little alcohol for MEDICINAL PURPOSES because Tibet and Mongolia are cold, alcohol warms one’s body by increasing blood circulation, in Highest Yoga Tantra Tsog pujas, a little meat and alcohol are consumed – to overcome ordinary appearance and to let go of any prejudices towards these substances. When Elephants were kept in Mongolia for the menagerie of one of their previous leaders, they were given LOTS OF VODKA to increase their circulation and cope with a climate and environment vastly different to the one that they are genetically predisposed/programmed to deal with. the Saint Bernard’s Dog https://en.wikipedia.org/wiki/St._Bernard_(dog) a rescue dog would often rescue those buried in avalanches/blizzards/snowstorms & the small barrel of alcohol around these dogs would help to revive those that were rescued. Many line of high incarnations have displayed unorthodox behaviour, including the line of incarnation from the Dalai Lama, Chogyam Trungpa. The high incarnations can do such actions for the benefit of the people they wish to help and assist, it is always actions that are focused out and not about just purely indulgence. This is quite an interesting read. Some of the reincarnated of Danzan Ravjaa passed away quite young, however the subsequent line of reincarnation keep coming back, i think he must be very attained and have very good motivation to be able to do that. Danzaan Ravjaa’s habit of drinking reminds me of Ji Gong – the crazy monk. Both of them are unconventional, but is very kind and always help others. The two crazy siblings who believes was the reincarnation of Danzan Ravjaa’s murderers, reminds me that a Lama will use any means to make connections with his students so that in futures lives the students will continue the affinity learning dharma from the teachers. Thanks to Rinpoche and Valentina for this post. I do notice that even an attained Lama can be an ordinary person just like us (despite the attainments/miracles). There were few incarnations where They did not exhibit any great miracles neither. There was once where He became a casualty of war and most often being poisoned or shot dead. I mean, *curious… Come on, Can’t He just manifest a better ending here? So, what I can say is this, however highly attained Lama, They themselves can’t even escaped the Law of Cause and Effect. One word, karma. Just like what Rinpoche has mentioned the other day on Aspirational Prayer, we just have to let whatever we have prayed to manifest. Although I might not have enough merits to be what I have prayed for, but I will continue whatever practices that I am doing and be the best who I am. Thanks Rinpoche and Valentina again. Thank you for your comments. I agree with you. When I researched about Danzan Ravjaa, I somehow felt sad for him. many of his incarnations were met with sad ending. However, I think the fact that he keeps coming back in perfect human form although he was perceived as unconventional by the community standard of the time shows that his motivation was actually good. And if you see his life work, he had performed many miracles and bring advancement to the society at the time. He was well educated and spread the Dharma through popular means – through plays, poems and he was helping others with his medical skills as well. Wow, what a fascinating read. The incarnations of Danzan Ravjaa certainly can’t be accused of leading mundane lives. Although unconventional, their enlightened activities had encourage the dharma to spread and benefit the people. The part where the Danzan Ravjaa shot at the gur of the sick boy to heal him was nothing short of an amazement. My guess would be he shot at a being who was causing the illness of the boy. The way he gave up his life was to a compassionate act to prevent Shuluum Avai from involving more people other than Luvson in trying to murder him and for them to realise the gravity of their sins. As proven, during the times of the 7th Noyon Hutagt, Agvan Luvson Dambi Jantzen Jampts, 2 crazy siblings who were very afraid of him and was believed to be Luvson and Shuluum Avai. May his current incarnation the 9th Noyon Hutagt live long to turn the Wheel of Dharma to benefit the people. Thank you Valentina for this interesting article and thank you Rinpoche for initiating for this article to be written. 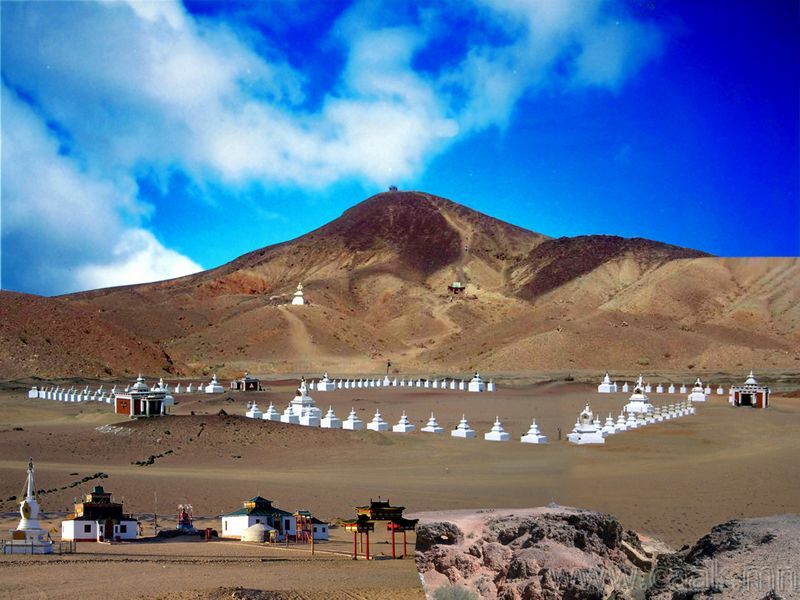 Thank you Martin (comment) for sharing more interesting information on Danzan Ravjaa and his prophecy of what is to come when the Panchen Lama becomes the King of Shambala. Thank you for your comment. I like the positive tone of your comments. When I first research about Danzan Ravjaa, I had many questions including about his unconventional actions. However, I remember what Rinpoche said before. A Mahasiddha or a high Lama’s actions may not fit our projections and expectations but they are done with good motivation. Another question may arise then, how can we know whether the unconventional actions were done with good motivation or self interest. I think the answer lie in the results of the actions. If the results are positive then, then the master may be realised and attained. I believe Danzan Ravjaa was a realised master because his action resulted in the beneficial growth of Buddhism judging from the support he was getting, the monasteries he built, the people he cured and his legacy even up to this day still last and with the establishment of his museum, people was reminded of the person who created the renaissance of culture in Mongolia. There are true bodhisattvas and fake ones manifesting with bizarre behaviors like drinking alcohol and womanizing, the true one is the who has reached the 5th stage of union of no more learning, having an action mudra will truly benefit sentient beings. Otherwise, for those who are namely at the initial stage of accumulating path and before even reaching the 3rd phase:- the path of seeing ( the stage of realization emptiness). Breaching the vows like a jackal who tried to imitate a tiger to jump across the cliff will fell off and die tragically, those who corrupted the Lord Buddha ‘s Dharma will pay for the prize themselves. Their reincarnations in the future will manifest much sufferings and misfortune. 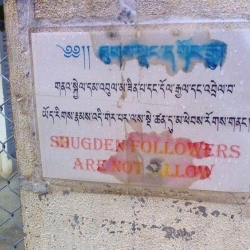 Ignorance may be bliss but not for long, advocating bizarre behavior is not encouraging to forsake the 6 paramitas. Using sexual & clairvoyance power to manipulate others is dirt cheap. Welcome to tsemrinpoche.com. Thank you for sharing your thoughts. It is true that not many has reached the 5th stage and that in the world, we can see that there are those who try to manipulate others using religious practice or ‘tantra’ as an excuse, giving bad name to Buddhism. Since you are a fan of Tara, I’d like to share some posts on Tara from the blog with you. Do let us know how you got to know about this blog, it’s nice to see more people come on here to share Dharma. 1. 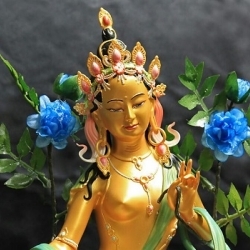 Holy Mother Tara comes to KFR! Hope to see you more on this blog! Wow. There is nothing conventional about Danzan Ravjaa. But that does not mean that he is not a good teacher of Buddha’s Dharma, nor does it discounts his effort and contribution towards preserving and teaching Buddha’s Dharma. I enjoy reading the tales of Danzan Ravjaa, thank you Valentina for this article. At the same time, I learn something fascinating; the incarnation lineage of The Noyon Hutagt. 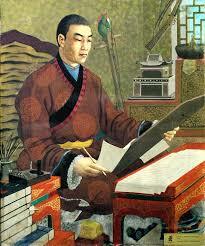 The first Noyon Hutagt came from a long incarnation lineage of famous masters, including the 4th Karmapa and Kukuripa. Yet it was not just Danzan Ravjaa, the 5th incarnation of the Noyon Hutagt who displayed eccentricity. His predecessor, the 4th Noyon Hutagt had displayed temperament that ended his life eventually. It was very fortunate for the people of Mongolia for he returned and continue his good work in the midst of Gobi desert land. Thank you Valentina for sharing this write up. What an interesting article, and on reading it is clear to me how great Masters are unconventional only because we in our ignorance have portrayed them as such. Every action of great Masters and Lamas are designed to benefit us eventually to enlightenment. The patience as shown by Dazan Rajvaa from his lifetime to his many incarnations (short lived) until the current 9th Incarnation is to await for us to be ready for the great work to be completed. What can be more precious then the gate to Shambala, the pure land on earth. And this gate was already built during Dazan Rajvaa’s lifetime more than a century ago. Very exciting and informative reflection on the ignorance, we being are in mistreating such great beings. What an incredibly interesting reincarnation lineage, with each incarnation leading such a varied life. It seems that Mongolians never really had the merits to sustain an incarnation like the Noyon Hutagt who always passed at an early age. Then came the 7th Noyon Hutagt Danzan Ravjaa…it is almost like all of the previous incarnations passed away at an earlier age, to make sure the 7th came at the perfect time to really turn the Wheel of Dharma in Mongolia. It’s not unheard of for high incarnations to do this for the benefit of sentient beings. I have previously heard on many occasions that the 13th Dalai Lama passed away early for similar reasons. 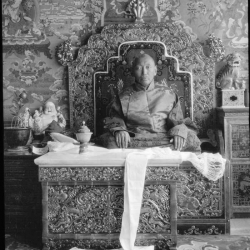 Having foreseen Tibet’s political troubles of the 1950s, he allowed himself to be prescribed the wrong medicine by Nechung so that his incarnation could come back in time to grow up and be old enough to lead Tibet through tumultuous times. If his reincarnation was too young, then the 14th Dalai Lama would be at risk of being nothing more than a figurehead of the Tibetan leadership. After all, how can the 13th Dalai Lama not possess the clairvoyance to know he was consuming the wrong medication? Although this is all just speculation on my part, I wouldn’t be surprised if the same happened for the Noyon Hutagt lineage. Lamas of that level of attainments can and will plan for countless future lifetimes, far beyond anything we ordinary beings can conceptualise. Danzan Ravjaa’s story was so intriguing it got me wanting to know more about this incredible personality. 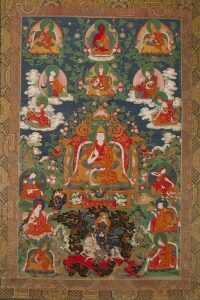 I found this site with a bit more details about his life http://www.tibetan-museum-society.org/java/arts-culture-Danzan-Ravjaa.jsp%5D. 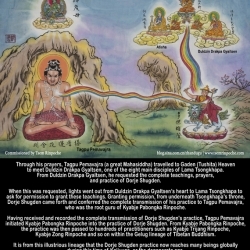 To the Mongols Danzan Ravjaa was a great and an unusually gifted mahasiddha who had mastered the inner tantras and as a result, gained supernormal powers. Even today there is an organization known as ‘Tavan Dokhio’ dedicated to the preservation of Danzan Ravjaa’s spiritual legacy. 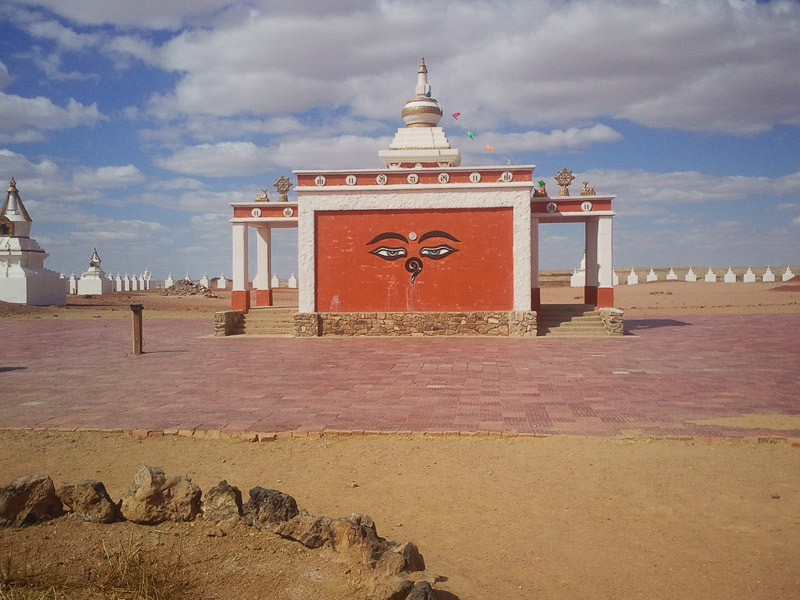 It is believed that Danzan Ravjaa accomplished such great power that he was able to condense three decades of his own life force into building the great Shambala site, an offering to his disciples and followers so that they may take rebirth with him in Shambala and join him in the battle against the ‘barbarians’. 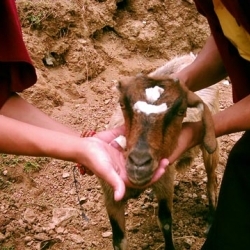 Here, I see a close similarity with our own lama H.E. the 25th Tsem Rinpoche who makes every effort to be humble but what Rinpoche is building at Kechara Forest Retreat is no less a supernatural portal to Vajrayogini’s Kechara. 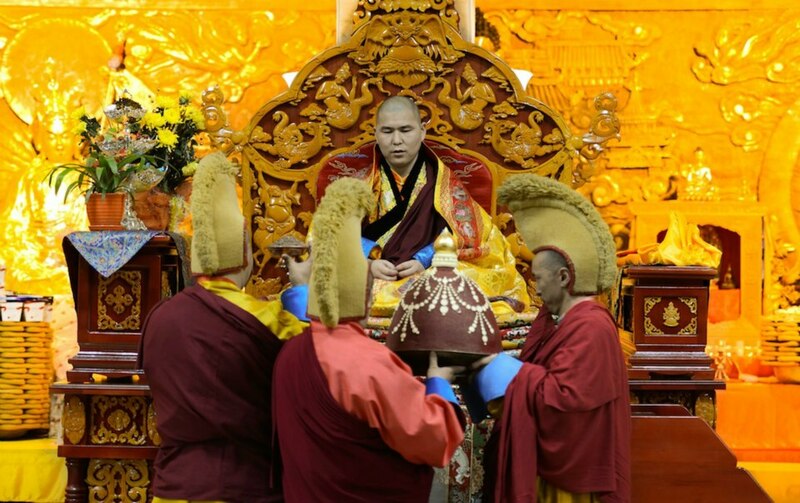 And it is here in KFR that Rinpoche has created conducive environment for one to fight the great spiritual battle and preserve the lineage of Dorje Shugden and Lama Tsongkhapa, and in the process, gain high spiritual attainments. 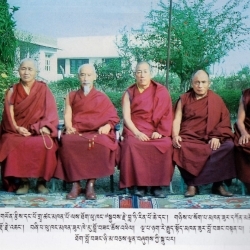 “…in the future, when the Panchen Lama reigns as the king of Shambhala, when many enlightened Buddhas, commanders and officials are waging battle against the mlecchas, I received a prophecy that I will [reincarnate] as the commander Sanjay Dorje Gyalpo and take under my command the soldiers and officers of the outer, inner and secret”. It is also widely believed that the from the line of the Panchen Lama will arise the Rudrachakrin, the king who will lead an impending Shambala battle, and that countless other realized beings will take form as commanders within his army. Uncannily, we see the progressive rise of the Panchen Lama today. 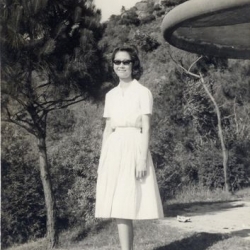 It’s all connected in ways we cannot comprehend as yet but I feel that the stories in Rinpoche’s blog are signposts to plant awareness into our minds. Thank you for the wonderful article of a charismatic teacher, by all accounts. 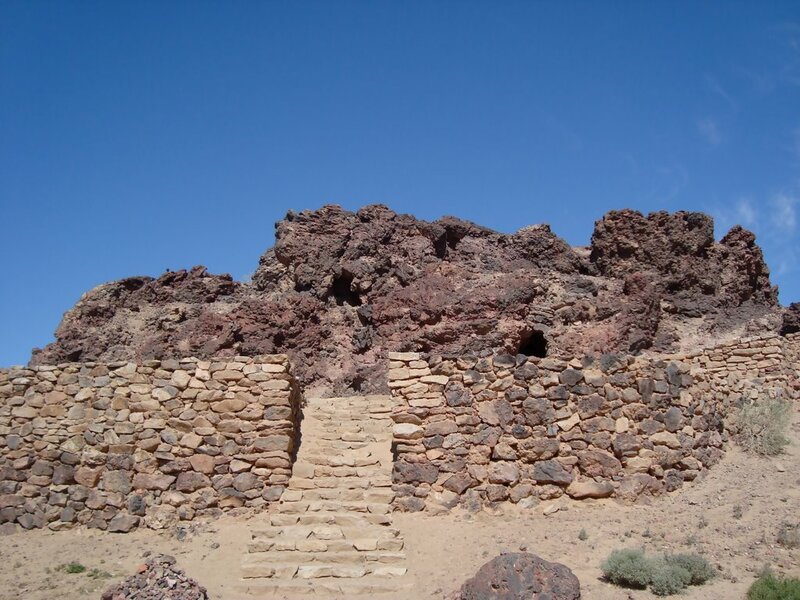 Building monasteries in the desert is no mean feat. And Danzan Ravjaa seems to have built quite a few. He may be eccentric and unconventional but his ethics were pure and standards high. He had the courage to point out flaws which did not endear him to many. Danzan Ravjaa did leave behind a treasure trove for later generations. The monasteries are being restored and hopefully the teachings will be brought back again. 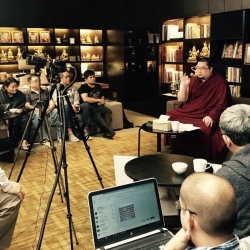 Controversy should not be the judge of the teachings of Buddhism that he espoused.